The latest Which? 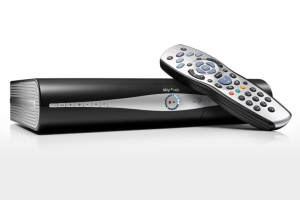 tests have uncovered three new Best Buys – including a Freesat set-top box packed with features that outscores all its rivals. We review all types of devices that plug into your TV, from PVRs that can record your favourite shows, to set-top boxes that air the latest Freesat and Freeview channels. We also test internet TV boxes that enable you to stream online content – from the likes of BBC iPlayer and YouTube – to your TV. To find out which new models make the grade take a look at all our PVR, set-top box and internet TV reviews. We put every PVR and set-top box through a number of tests, including a mixture of technical lab testing and expert assessment of picture and sound quality. Internet TV boxes are assessed for the video on demand services they offer, the quality of streamed TV, as well as how easy they are to use. Our latest reviews include our verdict on models from big brands, such as Sky, Humax and Roku, with some interesting results. There are three new Best Buys – one in each category – plus a Don’t Buy to avoid.